If you’ve been looking to bring a bit of fun and colour into your nursery or kids’ room, may I suggest some new linen? 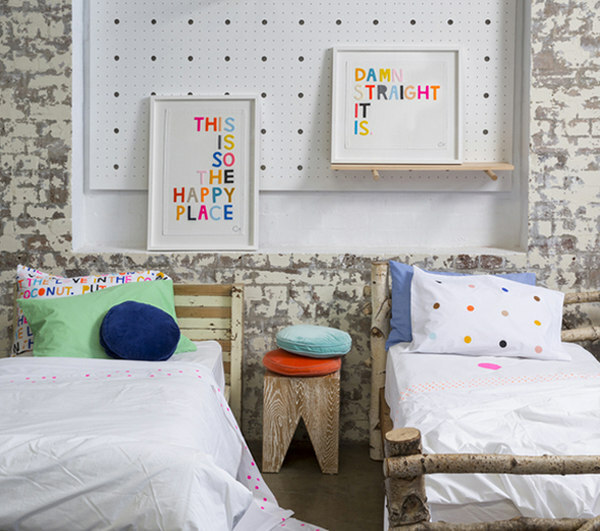 Specifically, this new bed linen from Australian designer Rachel Castle. Nothing beats the feel of crisp new linen, and when it’s bright and fresh like this bedding, so much the better! This is linen that will complement a room without dominating it, and the subtle spots and blocks of colour will fit right in with a modern theme. With sheet sets for cots as well as for single and king single beds, this is a modern bedding range that’s sure to get you smiling. The cheerful polka dots and hearts as well as the bold blocks of colour are right on trend for this summer, in a range that’s bursting with bright fluoro colours. As well as sheet sets, Rachel Castle has released beautifully soft woven cotton blankets which are described as fitting a single bed perfectly, and a cot generously. They’re available in blue and charcoal or pink and orange. Seems to me they would also fit a snuggly spot on the lounge pretty well. If, like me, you’re getting a bit jealous because those sheets might look great on your own bed, never fear. Of course they come in grown up sizes too. You can check out the whole range at Castle and Things. Flat and fitted single bed sheets are $95. 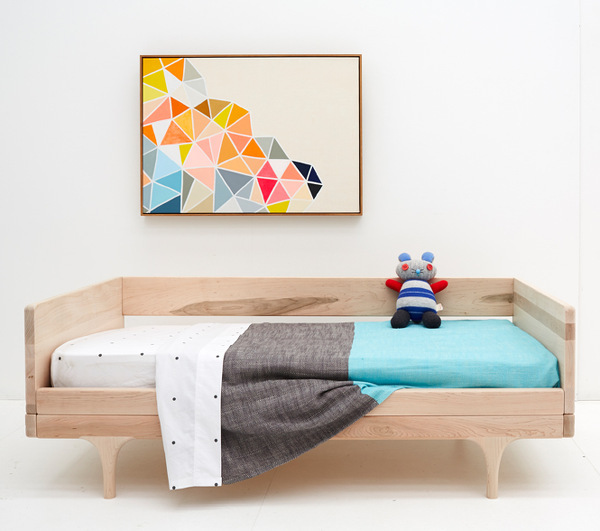 Cot fitted and flat sheets will set you back $69 each and those gorgeous cotton blankets are $79. Single quilt covers are $135.